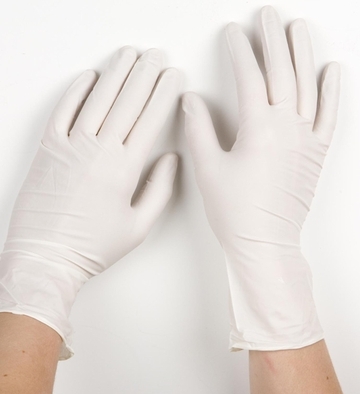 Our White Nitrile Gloves are the same high quality as our popular Nitrile Powder Free nitrile gloves the only real difference is the color of this glove. It offers a dependable solution to those allergic to natural latex protein. It is latex free, powder free and odor free. and is a more affordable solution if you are using the Kimberly Clark Safe-Skin. 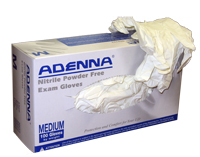 White Nitrile Exam Gloves are made from 100% soft nitrile, a synthetic compound that's completely free of skin-irritating rubber proteins. These leading-edge gloves conform to your hands far more comfortably than other non-latex alternatives such as vinyl. You get a cool, dry, precise fit with far less hand fatigue. They are also far more resistant to punctures and tears than either latex or vinyl and stand up to a variety of splashed chemicals, solvents, oils and bases.